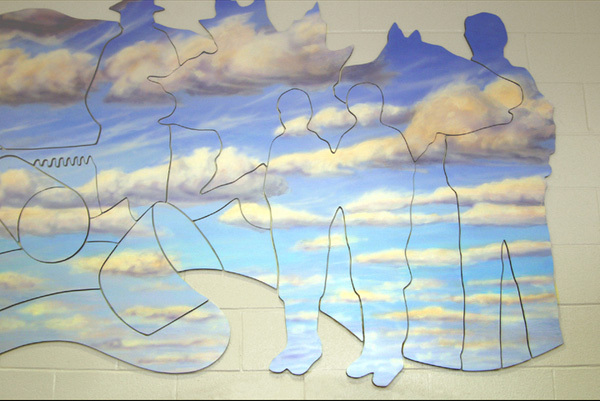 The acrylic painted mural features aluminum composite panels cut into silhouettes of shapes and then assembled onto the wall, similar to assemble of puzzle pieces. 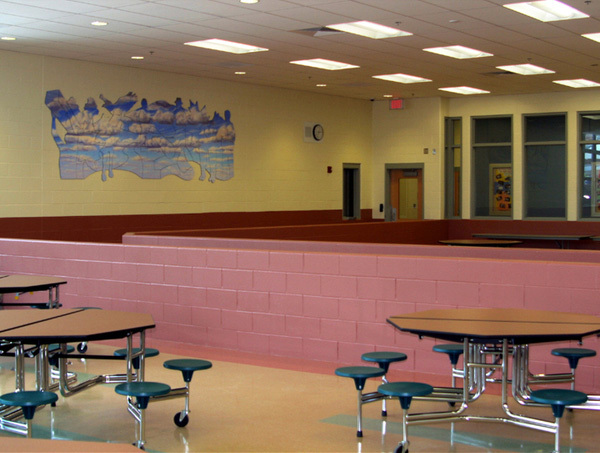 NOTE: Some surface preparation is required before painting Dibond to remove any surface contaminates such as oils or dust. The substrate should be cleaned with 70% isopropyl alcohol, using a non-colored cloth. It is important not to use paint thinners or soaps as they may leave a film residue, which can affect adhesion. For more information regarding painting Dibond material including suitable paints, adhesion testing and drying download our Fabrication Manual.